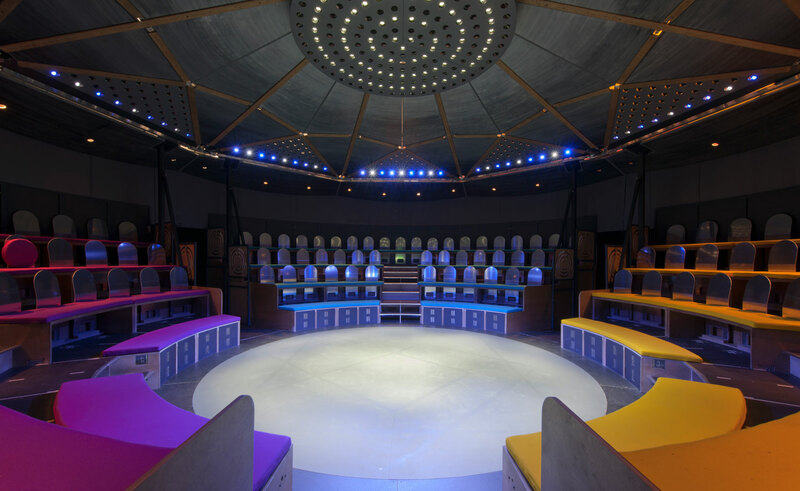 The stunning Roundabout pop-up theatre dome is soon to enliven Darlington’s market square, with surround seating and state-of-the-art lighting, providing an unmissable setting in which to experience live music in a new way. Within the contemporary beauty of this theatre in the round, we present a delicate evening of alternative folk and spellbinding songcraft, from some of the finest female artists in the North East. This intimate affair is a unique opportunity to immerse yourself in sound, with gorgeous original music whispering in your ears and tickling your heart from every angle. Featuring captivating harmonies from acclaimed singer/songwriter Samantha Durnan, urban power-poetry from Eve Conway, raw electric soundscapes from the Girl from Winter Jargon, and soulful vocal nuances from Emily Whitfield.